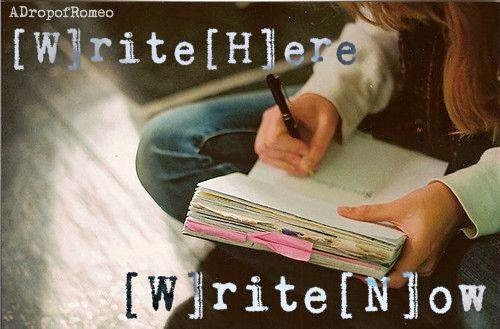 Write Here, Write Now is exactly what its name states- a supportive environment in which you can write freely. At one point, they consisted of word sprints, single-word prompts, picture prompts, song prompts, Star-Cross'd-- all kinds of writing inspiration. There was an allotted time for attendees to work on their own stories as well. Every prompt entry was judged immediately after the time limit is over, and the winners received banners. It was also a lovely opportunity to get your writing looked at by judges! Judges in attendance edited whatever was written throughout the time of the chat. WHWN has not been discontinued; it is merely not occurring as frequently.